Twelve San Francisco-based creatives developed and play-tested prototypes of AR games for and about the museum. Rather than commission a single, costly AR project, the game jam was an experiment in seeing what kinds of experiences emerge when a collection of artists, technologists, and designers gather for two weekends of rapid-prototyping. 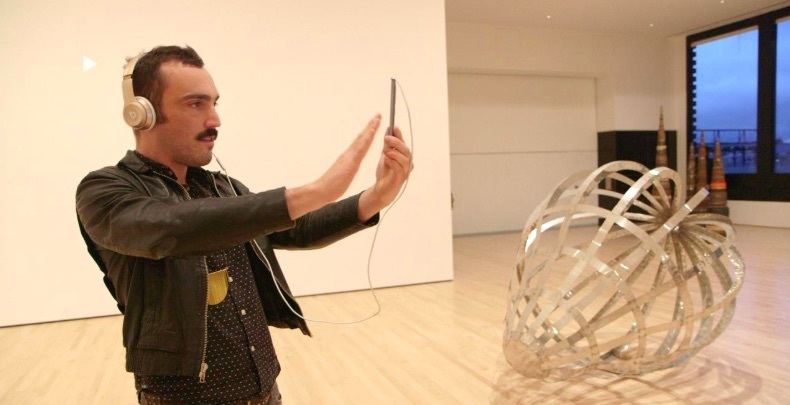 These makers pushed the limits of current-day AR technology to ask several questions: Can AR be used to create a meaningful interpretive layer on existing artwork? Or is it better used in the creation of stand-alone artwork within the walls of the museum? And what effects do AR experiences have on a museum visit, both for visitors who choose to engage and visitors who prefer their visit device-free? SFMOMA made a video about the project, which you can see here. I also wrote a paper about this project, which I presented at the Cultures of Participation conference in Aarhus, Denmark in April of 2018. If you’d like to read the paper, let me know. I’d be happy to send it over.